This month with my mommy friends we decided to do a mail sorter as our monthly craft. So far we each have way different methods and will each have a very different product all to solve our piles of mail problem. I can't wait to see what they create. If you are anything like me, you are a piler. You have a pile for mail, a pile for the magazines, a pile for crafty stuff, a pile for shoes... well you get the idea. 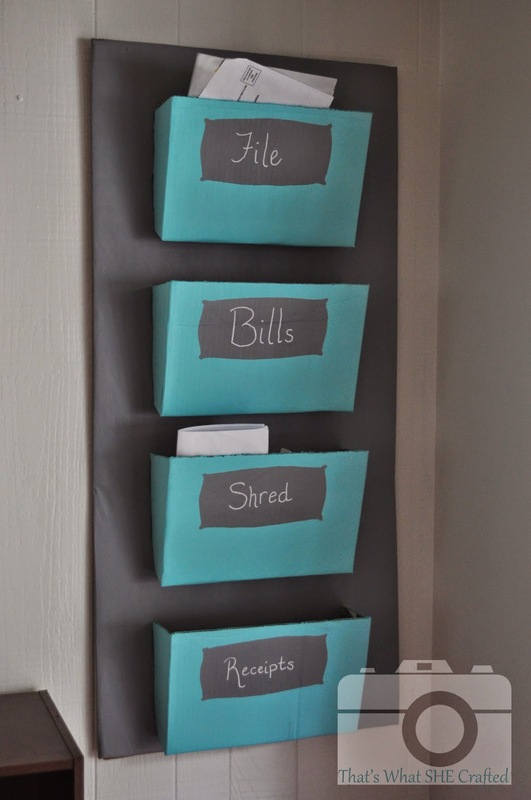 Now my piles are much more organized than say back in my high school and college days-- thank goodness for fabric bins which contain my "piles"-- and we won't talk about all the piles of papers I had back when I was a teacher... But with the variety of mail we get flyers, magazines, bills, personal notes, junk mail, and random bits of paper with our names and address on them... our mail pile has taken over-- taken over the counter, the dining room table, the desk. AND it comes everyday, except Sunday. There's no post on Sunday... good thing we aren't witches/wizards who can get owl post every day of the week. Actually scratch that I'd rather be a witch and get mail every day of the week. I'd have a wand and magic to help me with all my boring day to day chores. Anyway while I pout that yet again I didn't get to head off to Hogwarts this past September 1st let us get back to this mail issue. In short, we have not come up with a good system since moving into this house. Our system as it stands... it piles. We get sick of the pile and sort. Things get thrown out and other things get shredded and other stuff finds a new pile to be filed. 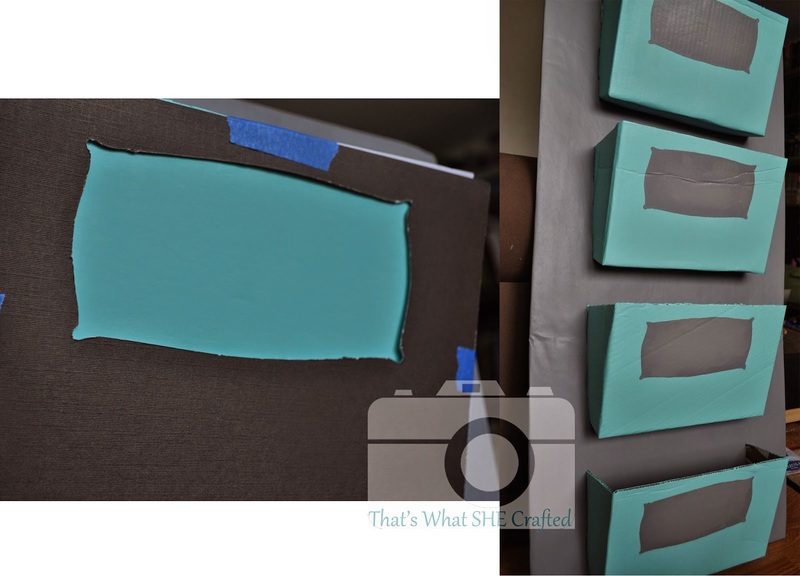 Before I get into the nitty gritty of my search for inspiration and all the details and photos of making my mail sorter here is a quick step by step. Sort of like getting the quick recipe before you have to go and dig through the photos of what each step looks like since this one.... well it's LONG. 1. Open up along the seam one box. 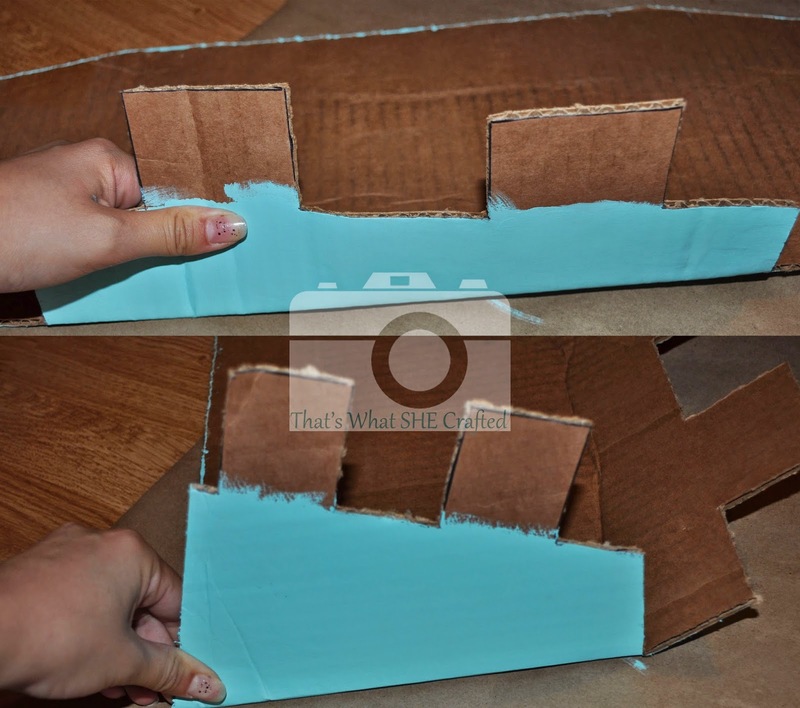 Cut off the sides and cut box in half. Discard the sides. 3. 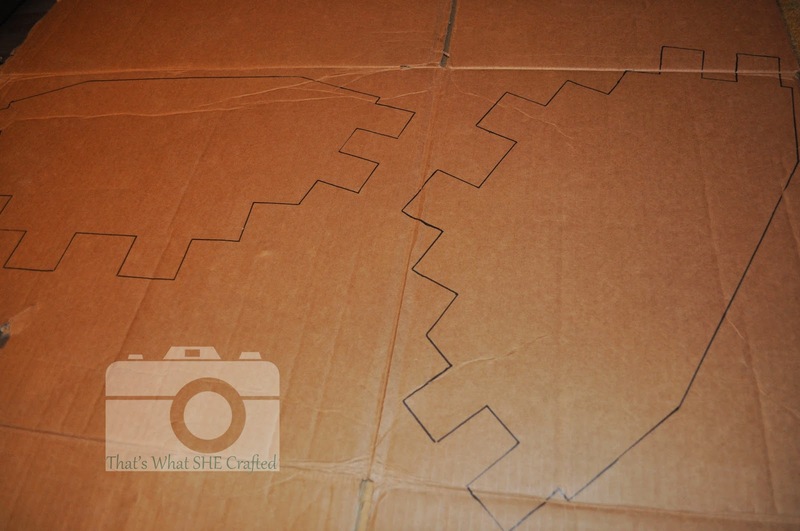 Glue large pieces together with one inch overlap on either side of the shorter piece. 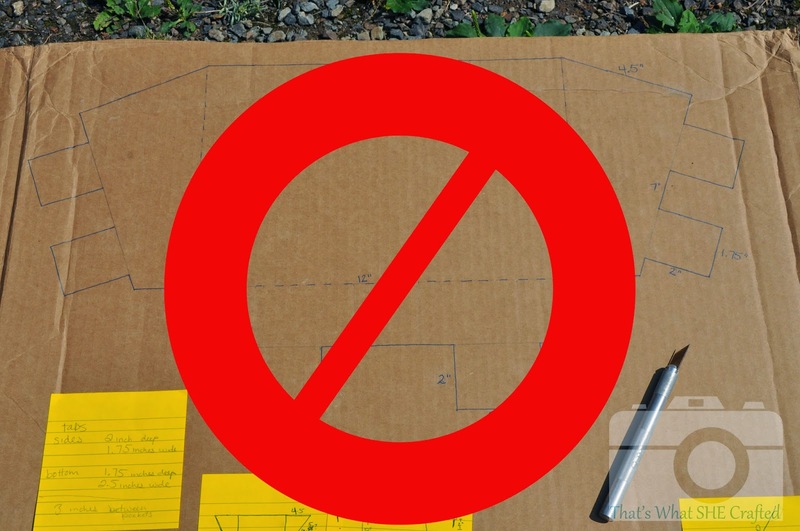 Make sure that the creases already in the pieces are not aligned as this will then be a bending point. If you must have them aligned then make it so the bends are in opposite directions as to counter act each other. 4. 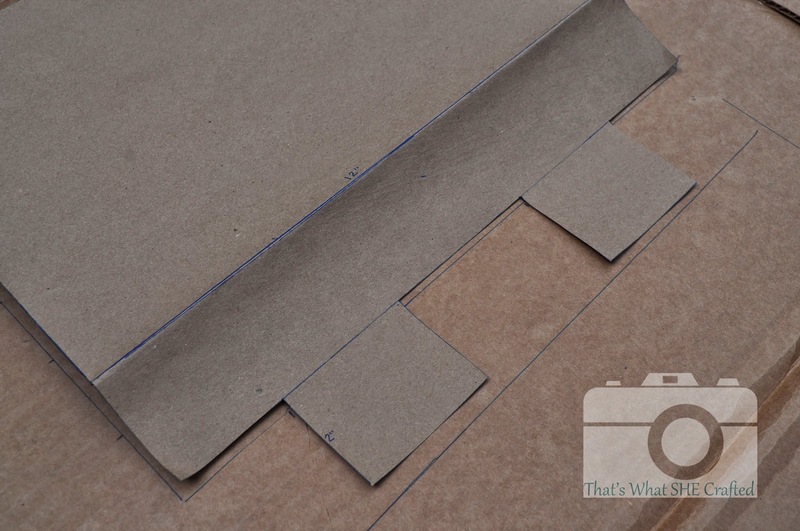 With the larger piece on the bottom fold the overhanging sides to cover the smaller piece and glue down. 5. 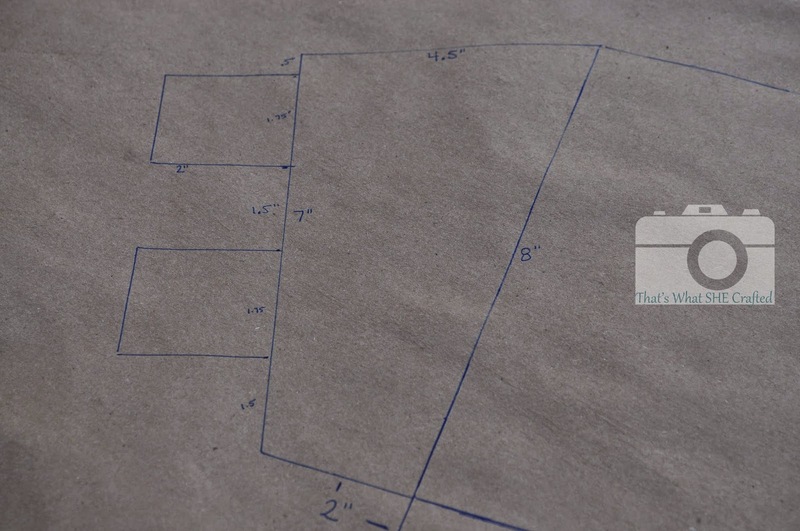 Create pocket template ON PAPER. You can use the measurements from mine above or create your own size for your needs just make sure it will fit on your backboard. 6. 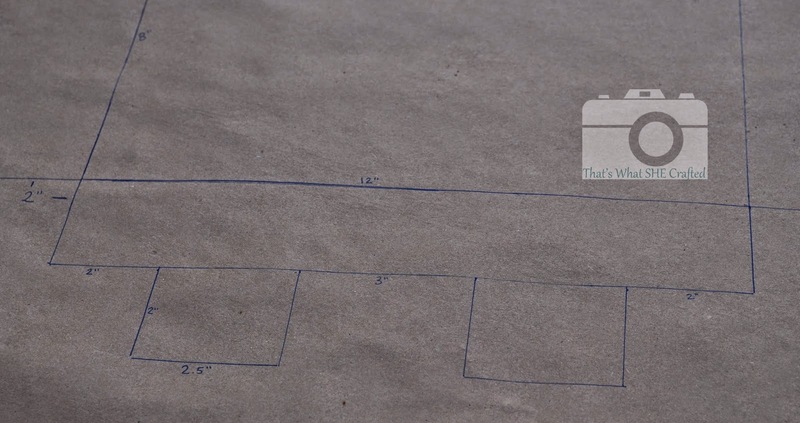 Using template map out where your pockets will go on the backboard. 7. Map out the slits and cut them in. 8. 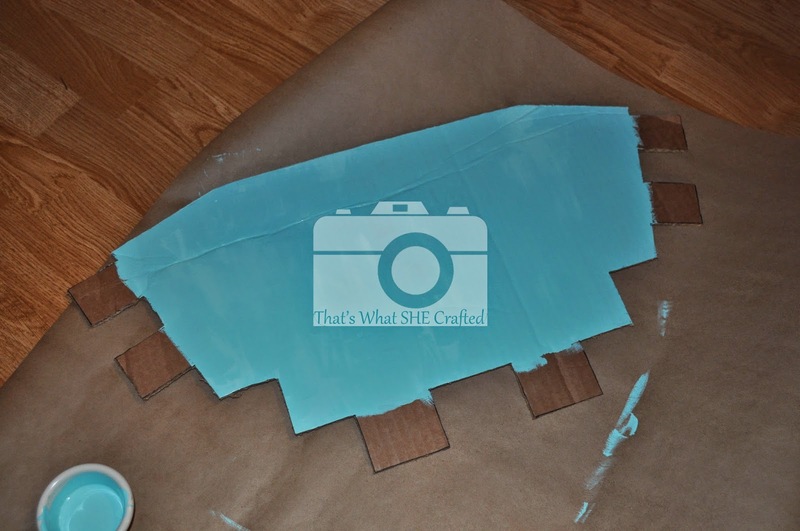 Cover the front of the back board with brown wrapping paper and paint. 9. 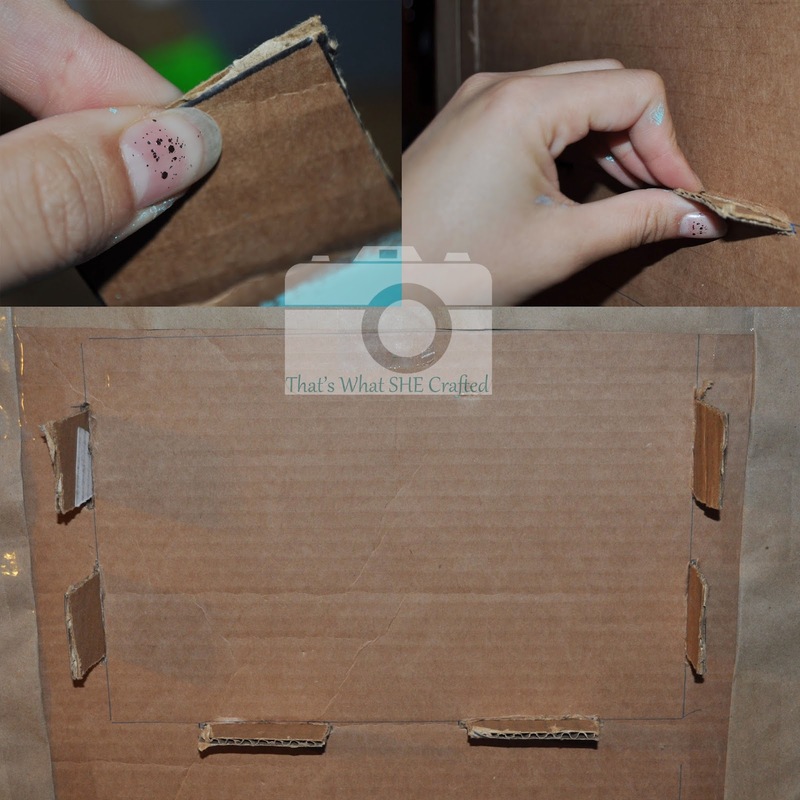 Trace your pocket template out four times onto the other two boxes after opening them up along their seams. 11. 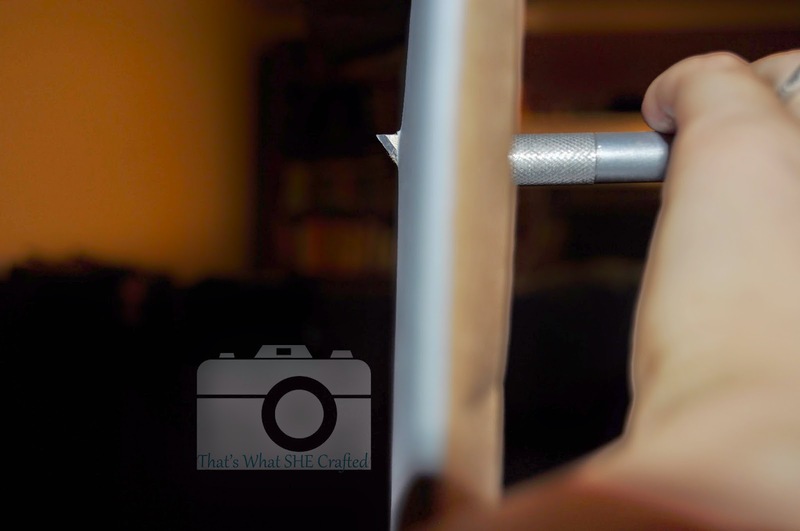 Cut through the slits on the backboard though to the paper. 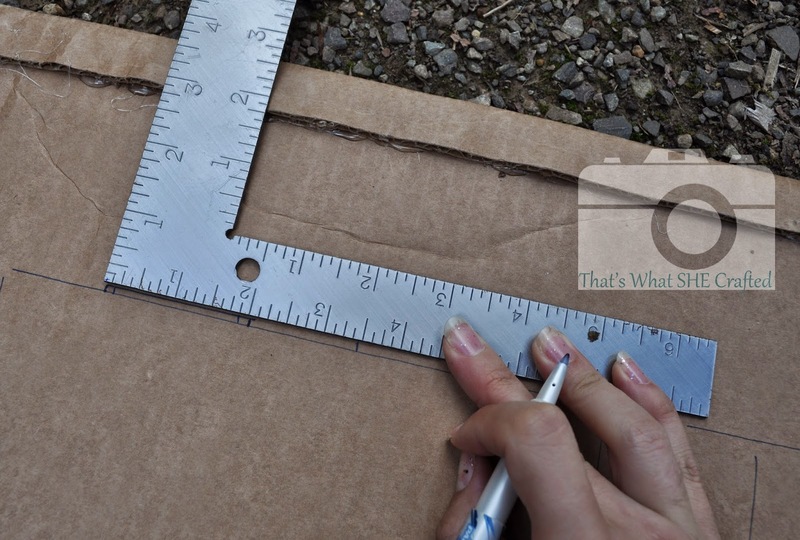 Widen the slits with a ruler. 12. 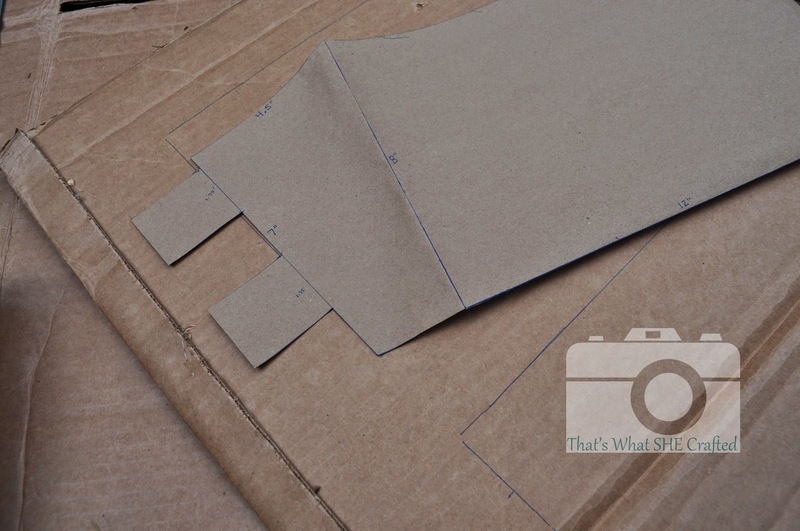 Once pockets are dry fold into the pocket shape and tape inner and outer corners. 13. After pinching the pocket tab edges insert the pockets through the slits. 14. 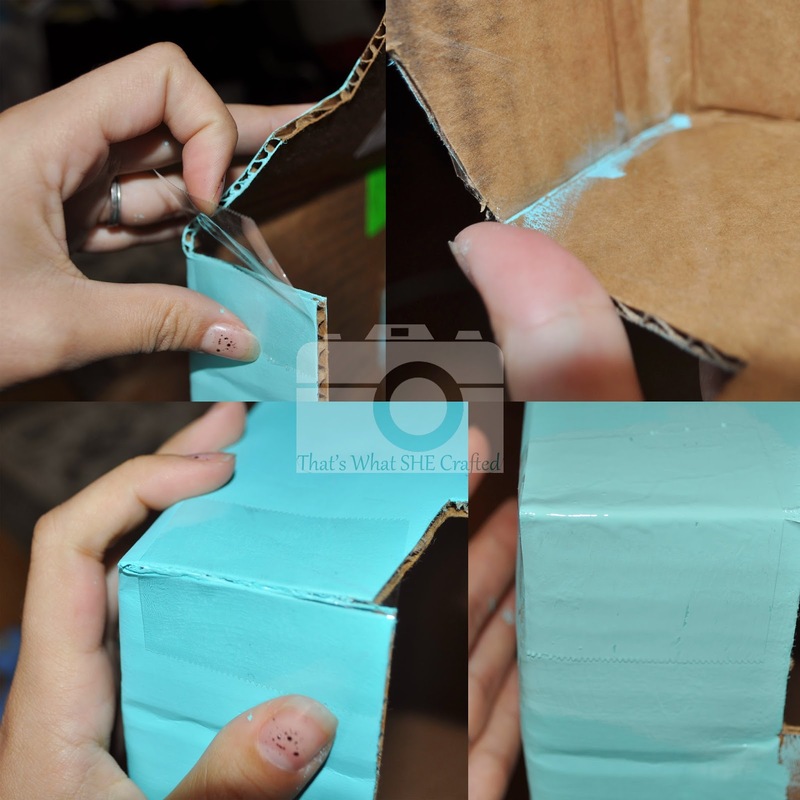 Fold tabs down and glue. 16. Measure the distance between the midpoints of two tabs that are along the same horizontal. Place two nails with wide flat heads within the measurement found. Hang the sorter on the nails. And now back to the super de duper long tutorial compete with pictures. So my search for a DIY mail sorter began. I really liked this sorter. 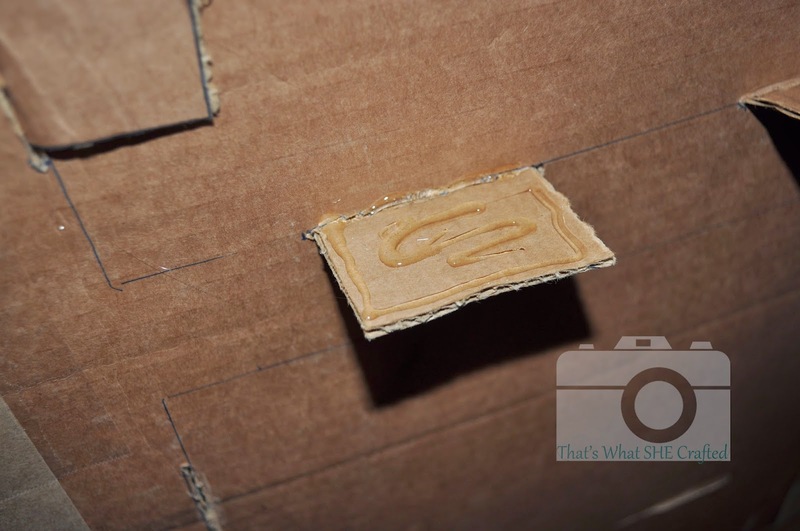 A sorter from cardboard, brilliant. 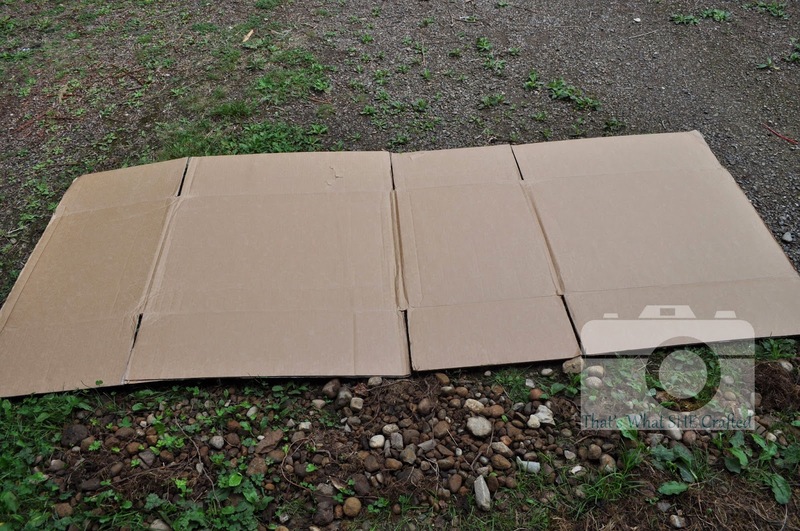 A quick visit to the Buy Nothing (my city) board and lookie there someone giving away large cardboard boxes. The tutorial called for medium boxes... I didn't care, bigger is better right? So I got my boxes and started measuring to which I decided forget dealing with the side flaps and the gaps I'm cutting all that off and cutting this big box in half. One box to make the back board section. Yes the measurements were a bit off from the tutorial but hey this is my sorter. I did cut one piece down about 2 inches in width than the other piece to avoid the making of the frame on the tutorial... what can I say I'm lazy. Heated up the glue gun and glued the main pieces together leaving one inch overhang on either side. 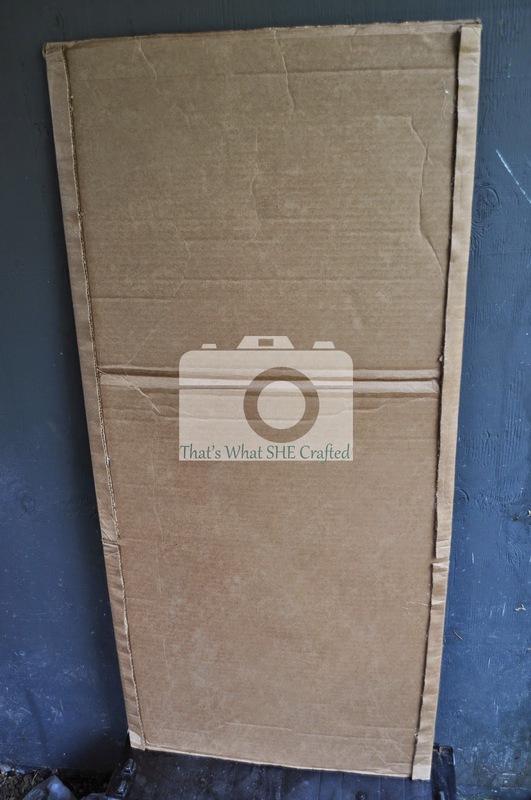 Then I took those overhangs and folded them over the back portion of the board encasing the raw edge of the bottom board and creating a sort of a frame. Now I ran into issues with the tutorial.... I didn't want to pay for a single day (or a month since they were the same price) to be able to download the pieces. The very pieces that make me like this sorter. Again... need to be a witch. 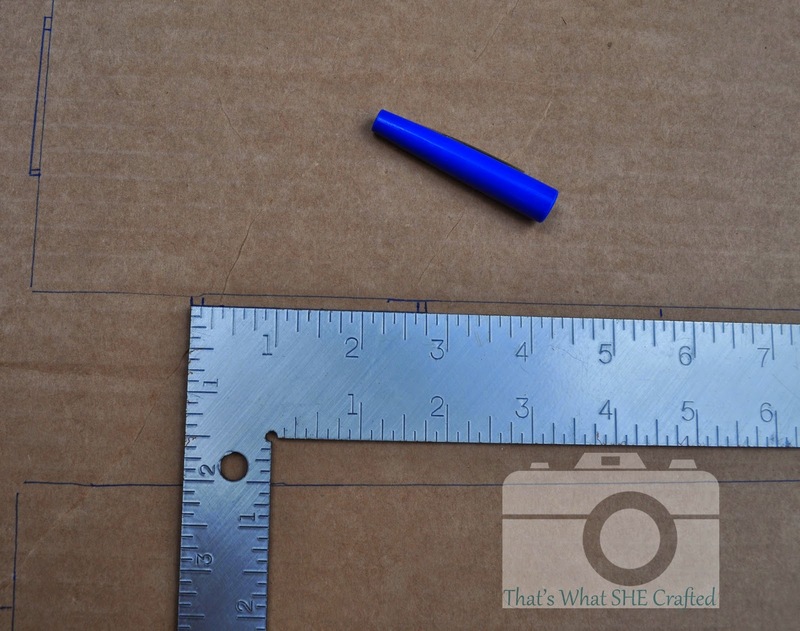 Based on the information that was on the screen I knew that the front section was 8 by 12 inches and that the slots cut into the back board was approximately 2 inches long and 1/8th inch wide. Beyond that... I was on my own. So I drew on sticky notes a plan. 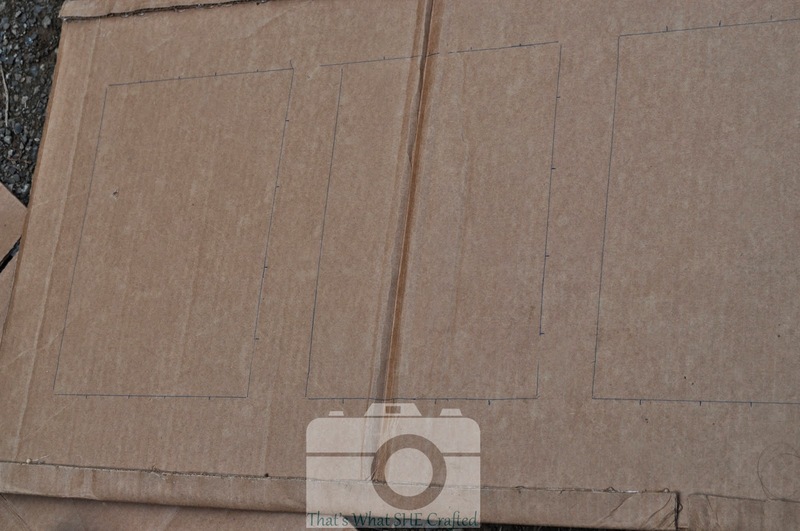 And try number one... failed of which I had stupidly tried my test by cutting the actual cardboard... double fail. I had made my life more difficult than I had to. Try number two started and stopped as I was drawing again on the cardboard realizing I wasn't getting symmetrical sides. Then I got smart (third times the charm?) and used the brown wrapping paper I had pulled out to wrap my main board (mostly to cover up the creases because I didn't think the paint would look nice) to draft my pocket pieces. Here is what my hard day of work produced. Then I needed to map out where the pockets would be on the main board. 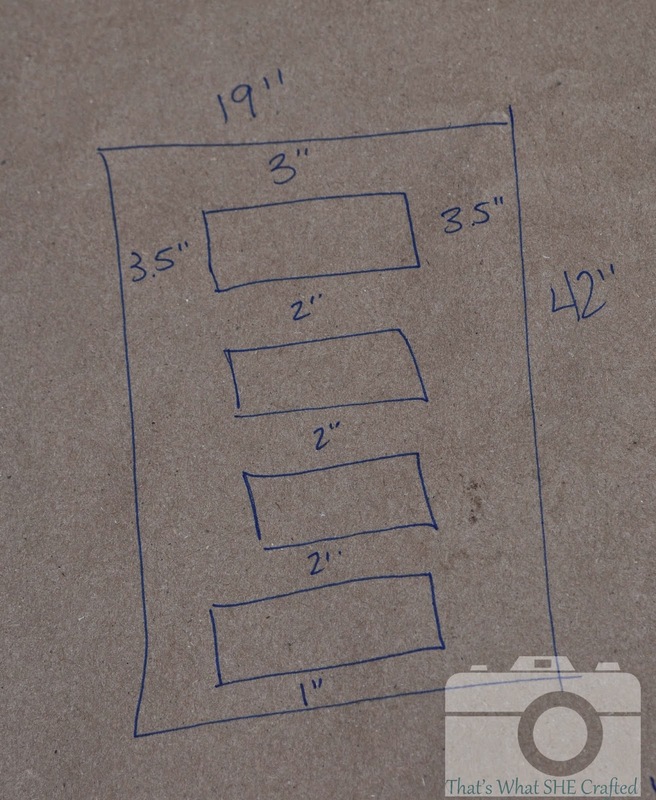 With my handy paper drafted pocket i folded down the ends giving me my 8 by 12 inch rectangle. My board height measured 41 inches so I left 3 inches at the top before starting my first plot for the first pocket. Then spaced the pockets 2 inches apart. Again I share this diagram with you as to not get lost in all the wording. Using my paper rectangle I traced/mapped all this out. 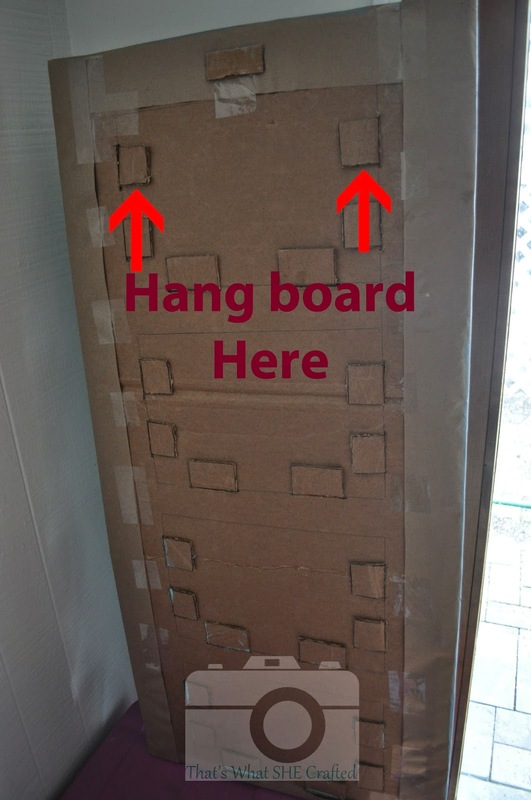 Then using a scrap piece of cardboard I figured out where to place the slits in the backboard which the pockets will be inserted into. Then the side tabs were a little more tricky. After some experimenting I lined up the corner ignoring the bottom straight line and just lining up the side of the template with the side of the rectangle mapped out on the board. After mapping it all out, I then extended the tabs so the slits were slightly bigger than the actual tabs. 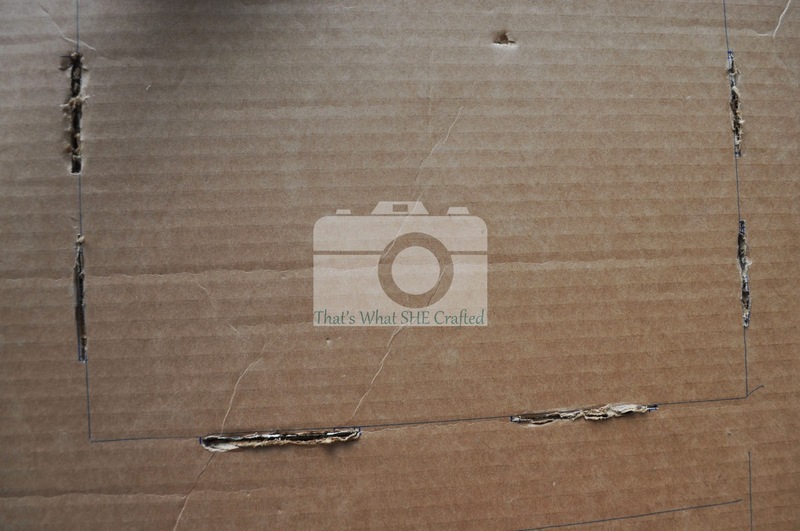 I cut the slits in using an exacto knife-- sharper is better. 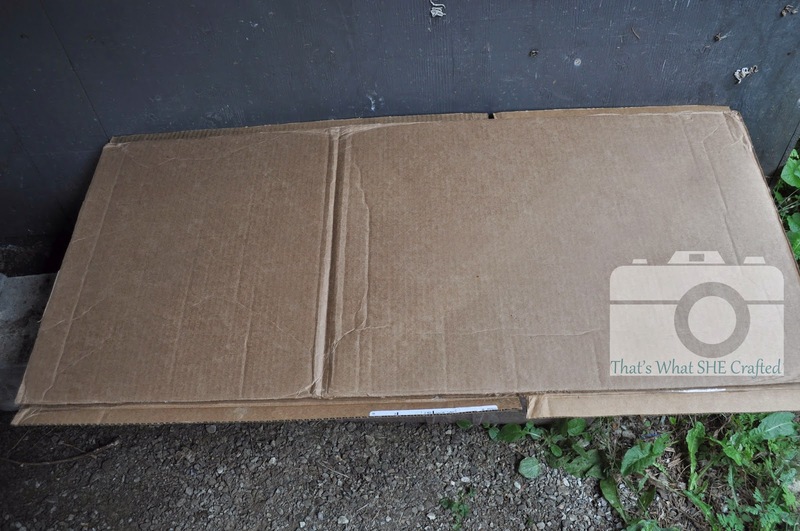 Dull equals sooo much more fighting with the cardboard. 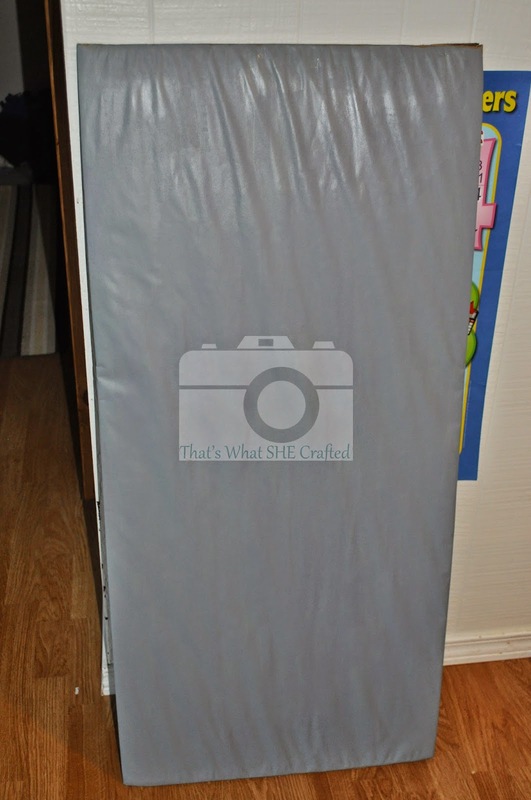 Then I took my brown wrapping paper (found in the packaging section at your local Target) and covered the front portion of my board. For this I just used packing tape but I could have used the handy glue gun again. While waiting for the board to dry, I took my other two boxes (well actually one and a half boxes b/c of my earlier boo boo) and traced out the pocket pieces. Again using the exacto knife I then cut out a pocket. Gave myself a break from cutting and painted the pocket. While waiting for the first pocket to dry I then cut out the second pocket. Until all pockets were cut and painted. Once paint is dry on the backboard, cut the slits through the paper as well careful to not rip the paper but just cut along the same line as the slit. I placed the exacto blade through the back of the board and carefully eased it down through the slit making the exact slit on the paper. 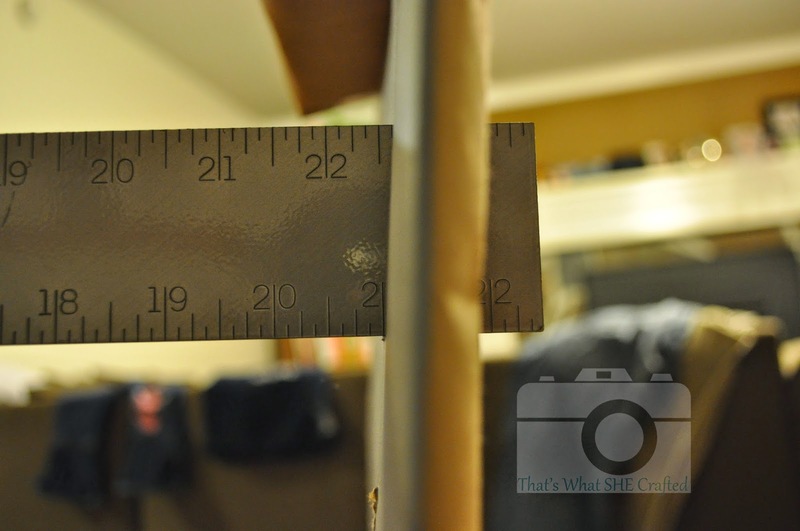 To further widen the space in the slits I took my larger ruler and passed it through the space. 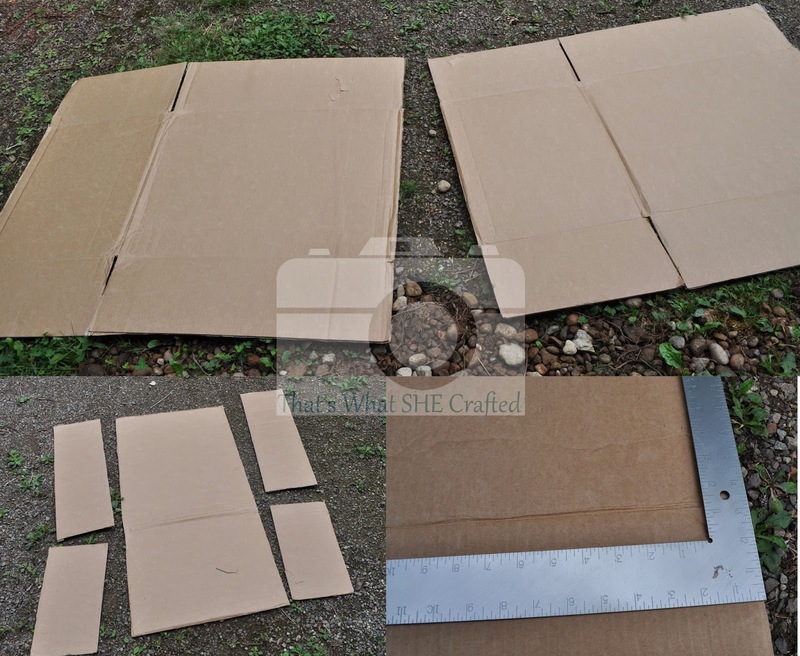 Fold the cardboard pockets along the lines that you folded the paper to create your 8 by 12 inch rectangle. Tape the outer and inner corners (I used clear packing tape that I then painted over the outer corners so I didn't have shiny corners). Inserting the pockets onto the backboard is a bit tricky as it is a tight fit which you want so your pockets aren't shifting around. I pinched the tabs along the edge before easing a corner of each tab through the slit. Pull, tug, push (gently you don't want to collapse your pocket) until the pocket is flush to the backboard. Fold tabs over and GLUE. I wanted a bit of ornamentation on my pockets so I stenciled a grey "box" which I then wrote in my labels. Earlier in the day (day 3 of working on this mind you) I was bummed I didn't have a white paint pen as it was my goal to only use things I already had at home or could get for free. 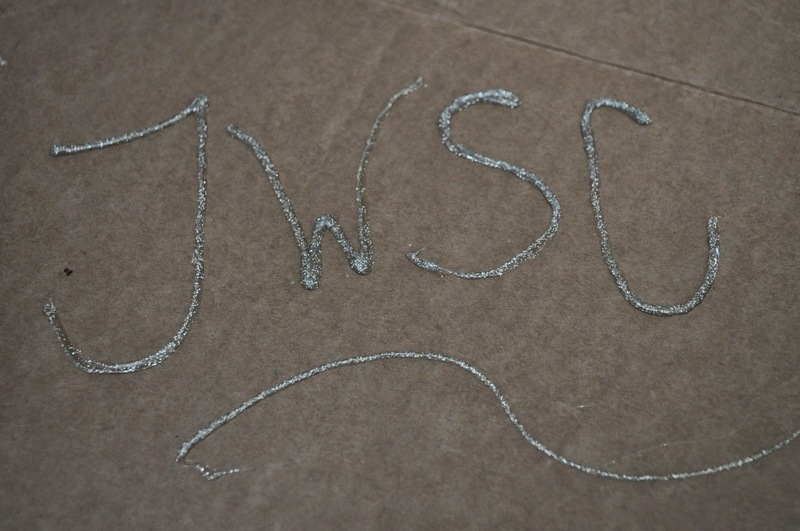 Then V was playing in some of my office supply/craft stuff and brought me a white out pen... problem solved. By the way did you notice the mail sorter matches the ruler growth chart from last month? Home Depot oops paint pots... I love you. To hang I placed two nails on the wall where I wanted to hang the sorter set so that two tabs will rest on the nails. 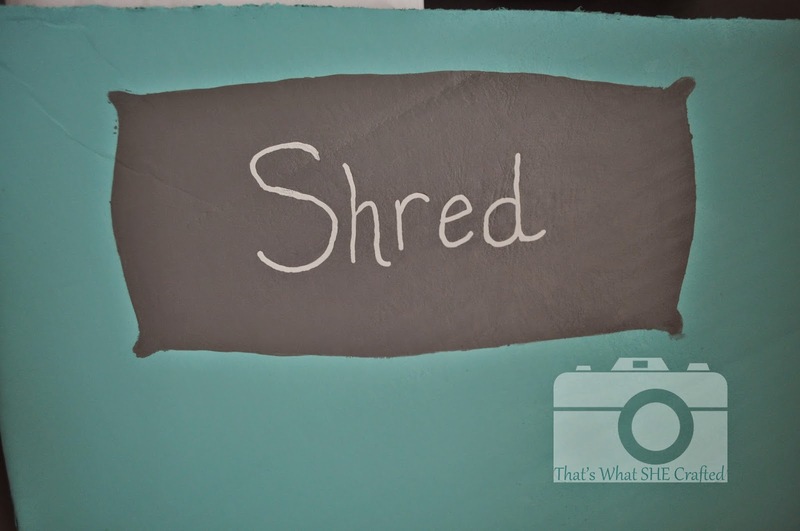 I won't be able to let the sorter get too heavy with this option but I figure if I'm letting it get too heavy than I'm not filing and shredding like I'm supposed to be. 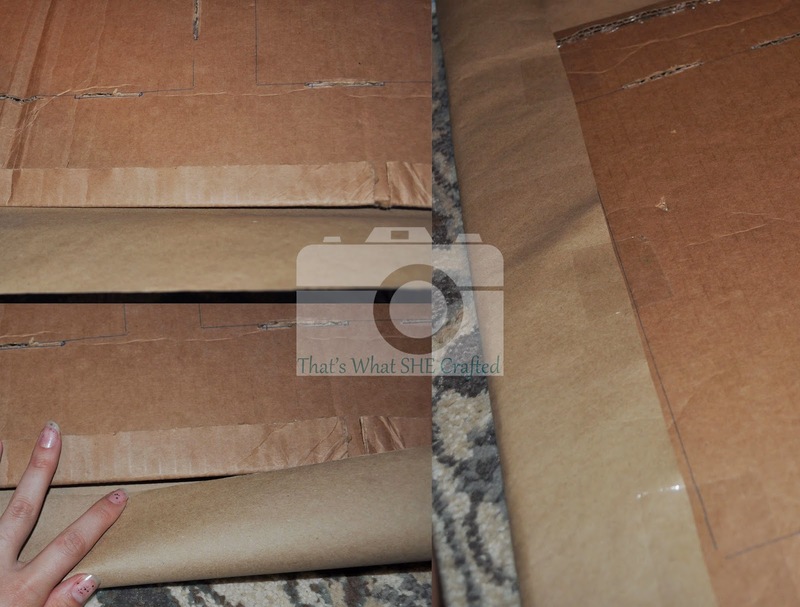 There you have it: one DIY mail sorter made from cardboard. Did I have to do a little more brain work than I was hoping for when I originally came across the idea? YES but I'm pretty sure if this thing helps us get our piles in order than I'll be one happy muggle. •Paisley Roots All Spice Week! Springtime! •GingerMelon stuffy sewn by Jenn! •Back To School with Maggie Mae!